Dominican-Spanish singer, songwriter and producer of a variety of music including rap, hiphop, reggaeton and merengue. His career began when his family moved to Spain and he began producing music, mixing Latin styles with electronica. In 2002 he founded his own record company Latin Way, signing a contract with Filmax Records that launched him on a tour of over 100 concerts throughout Spain. He started producing dancehall themes for the Universal Music Group Company for international artists such as Snoop Dogg and Rihanna. He studied music and dancing from childhood, performing in several youth groups. 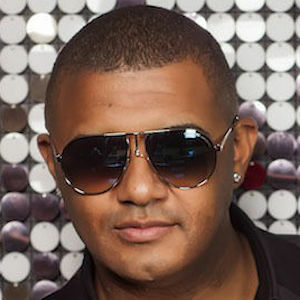 He gained international fame after collaborating with the DJ José de Rico on huge hits such as "Te Fuiste", "Rayos de Sol", and "Noche de Estrellas". He has a son, Mark Méndez. He has written songs for Pitbull, Lumidee and Lil Jon, amongst others.